Oh SNAP! Scandal is back tonight, y'all! You know what that means! Lots of wine, lots of dramatic speeches, a ridiculous love triangle that seems never-ending, and some crazy one liners. That's right, folks. We're back in Shondaland! A lot of (ridiculous) things happened last season, so I'm looking forward to watching the soap opera unfold once again! Of course I have a bingo board for you, so never fear! Remember, you can use this bingo board as just a fun game with friends, some conversation fillers for commercial breaks, or a workout challenge! Definitely make sure you consult with your doctor before beginning any new exercise. I'm not a doctor or certified personal trainer, but I am a big fan of Scandal! Alright, alright! I'll quit yapping! See your new bingo board below! Note the Valentine's Day theme, because we know it's unlikely that anyone on the show is going to have a Valentine this year! During each commercial break, do the exercise for each square you land on x5 reps. Enjoy! 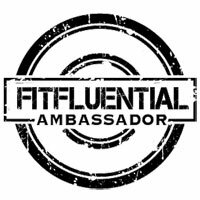 If you do the workout, share your thoughts with me on twitter @flecksoflex! Before I leave, I just wanted to send a quick shout out to Jennifer and her friends at Le Meridien Indianapolis for their enthusiasm for my new Scandal bingo board! I hope you guys have a blast at your Scandal party tonight! Enjoy the episode tonight, Gladiators! 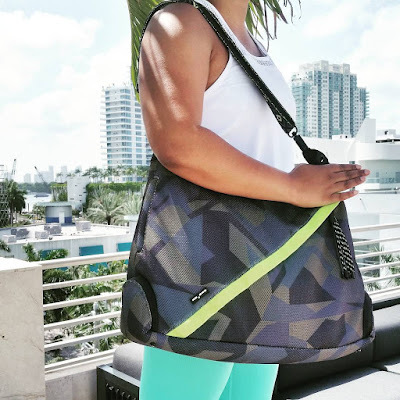 What a great idea for getting active while watching TV! Definitely! Your heart is already racing when you're watching the show, so why not throw a few lunges in during commercials?! LOL! That's so fun! 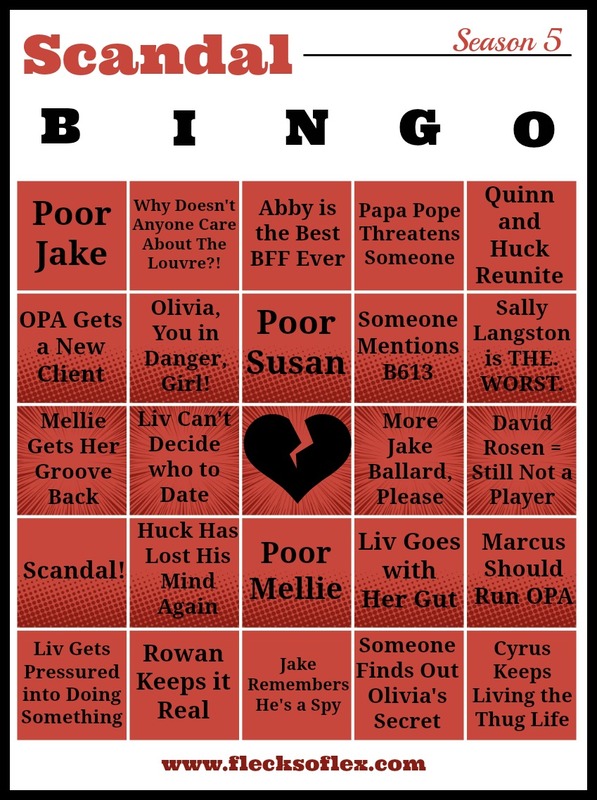 I don't watch Scandal (or much TV at all) so I guess I'm out of Bingo, but I hope you enjoy the new season! Thanks! TV is what shuts my mind down for the day, especially a particularly stressful day. Sometimes Scandal is just what the doctor ordered! I don't watch scandal but bingo is always fun! Man, I can NOT get into Scandal, but this sounds fun! I need to watch HTGAWM...it ended on such a cliffhanger a few months ago! Maybe I'll put one together for the upcoming season of OITNB. It's so tough with Netflix shows!